CONTEST CLOSED! Remix Hyper Harp's - Fan One. This contest will allow you the opportunity to remix Hyper Harps new song Fan One from his latest CD (Date TBA). 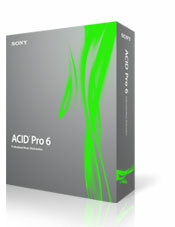 The best remix wins some great prizes including Sony ACIDT 5 and the opportunity to be included in the new Hyper Harp CD. HYPER HARP is the world renowned harmonica virtuoso responsible for creating his own fusion of live harmonica and electronic dance music. His music is the sound of blazing harmonica riffs, filtered through effects to create sounds like that of guitars, synthesizers or even horns, over throbbing house, techno and drum n' bass. His high energy style has rocked dance floors from Berlin to Cancun to Burning Man.
. The contest begins Monday, March 21st, 2005 and ends June 30th, 2005.
. A valid remix must contain some of the harmonica sample - BE CREATIVE!
. All entries must be fully uploaded by midnight PST on Thursday, June 30th, 2005.
. Download the harmonica samples.
. Post a link to your remix at Synthvox.com after confirming your information. Anyone affiliated with the sponsors, companies, and their relatives involved may not enter. The competition starts March 21th, 2005 and is open to the entire globe. All entries must be fully uploaded by midnight CST on June 30th, 2005. Entrants must be at least 13 years of age. Registration is required to participate and to download content. Entrants must provide accurate contact information. A valid remix must contain some or all of the Harmonic track from "Fan One". Entrants may use the downloadable loops and samples provided by Hyper Harp and Peaceloveproductions. Entrants may also create their own original music. The use of unauthorized audio and/or music is prohibited by law. Hyper Harp owns all rights to "Fan One" and it's seperate components. All components and downloadable media are to be used for this contest only. Use of this material outside of this contest is prohibited by law. Entrants are granted the rights to upload their remix to the website of their choice and provide a link for listening. 2 Finalists and 1 winner will be chosen by Hyper Harp. Copyright 2004 Hyper Harp.